OPEC and other oil producers are on course to agree an extension of supply cuts at a meeting on Thursday, with Saudi Arabia saying most participants are on board with the plan to rein in a global supply glut, according to Reuters. Saudi Arabia's energy minister said on Sunday that extending the supply cuts by a further nine months until next March, and adding one or two small producers to the pact, should reduce oil inventories to their five-year average, a key gauge for OPEC to monitor the success of the initiative, Reuters said. "Everybody I talked to... expressed support and enthusiasm to join in this direction, but of course it doesn’t preempt any creative suggestions that may come about," Khalid al-Falih told a news conference in Riyadh. "We believe that continuation with the same level of cuts, plus eventually adding one or two small producers, if they wish to join, will be more than adequate to bring the five-year balance to where they need to be by the end of the first quarter 2018." The Organization of the Petroleum Exporting Countries, Russia and other producers agreed last year to cut production by 1.8 million barrels per day (bpd) for six months starting from January 1. Oil prices have gained support from reduced output, but high inventories and rising supply from producers not participating in the accord, such as the United States, have limited the rally, pressing the case for extending the curbs. Saudi Arabia and non-OPEC member Russia, the world's top two oil producers, last week agreed on the need to prolong he current deal on cuts, which expires in June, until March 2018, pushing up prices. Read alsoOil prices dip as supply remains ample despite output cuts – mediaOn Friday, Brent crude LCOc1 closed up $1.10, or 2.1 percent, at $53.61, the highest settlement for the international benchmark since April 18. 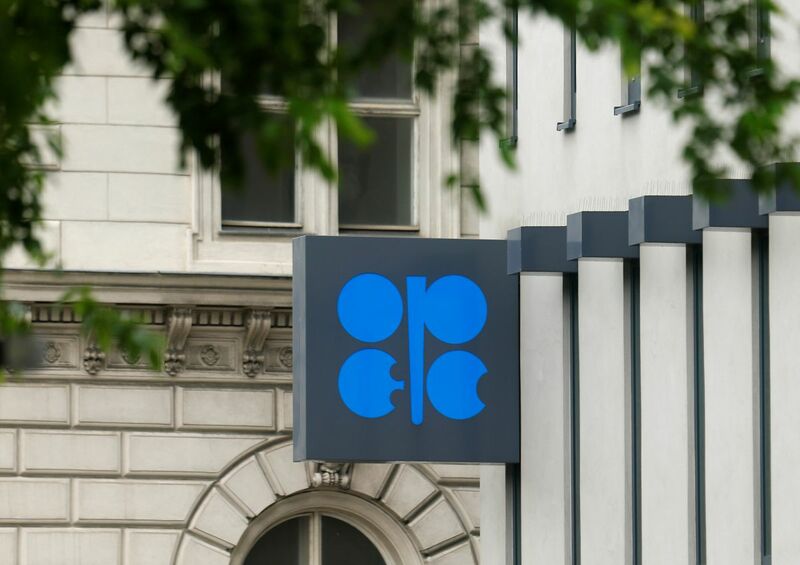 With a nine-month extension now the minimum expectation for the Vienna meeting, OPEC has a lot of work to do to persuade its members and some non-OPEC producers to back the move. Non-OPEC member Kazakhstan has said it would struggle to join any new deal on the old terms, as its own output was set to jump. But OPEC's second-producer Iraq, whose output is growing fast, has said it will support extending output cuts in line with any OPEC decision, but did not specify for how long Baghdad was willing to extend the current cut. Even Iran is likely to go along with such the extension plan if there is a consensus, sources familiar with Iranian thinking have told Reuters. Falih said his understanding from a public announcement by his Iranian counterpart was that Iran was happy to stay within the production ceiling allocated to them last year. Iran was the only OPEC member allowed to increase its output under the supply cut deal. The current Iranian oil minister, Bijan Zanganeh, said earlier this month he believed producers were likely to extend the OPEC-led deal although he did not give a timeframe. OPEC's aim is to reduce global oil inventories to the industry's five-year average. While inventories held at sea and in producer countries have dropped, they remain stubbornly high in consumer regions, particularly in Asia and the United States. Estimated inventories in industrialized nations totaled 3.025 billion barrels at the end of March - about 300 million barrels above the five-year average, according to the International Energy Agency’s latest monthly report.